What Factors Will Affect Your Breathing Rate? Just as your heart pushes blood through your veins, your body pushes air through your lungs. A pulse, referred to as a heartbeat, occurs as your artery allows blood to pass. A healthy individual will have a heartbeat rate of 60 to 80 beats per minute. Taking a breath, referred to as the respiratory rate, is when you inhale and exhale. A respiratory rate of 12 to 20 times a minute is considered normal. However, some factors can impede respiration and make it hard to breathe. If you suddenly have a difficult time catching your breath, you should seek medical advice as soon as possible. When weather conditions change, it can make it hard for you to breathe if you have asthma or another respiratory illness. While studies differ on why this occurs, research has found evidence that certain seasons see higher rates of emergency room patients because of breathing issues. 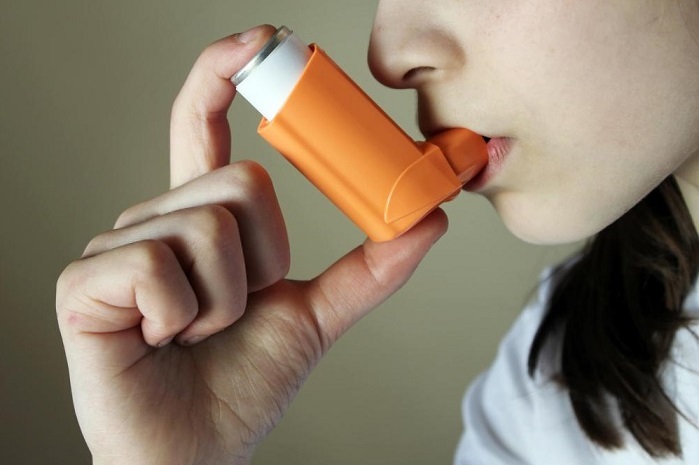 Dry air often triggers an asthma attack, making existing breathing problems even worse. Respiratory illnesses are one of the factors that affect breathing rate. Whether caused by a virus or bacteria, these diseases can cause inflammation of your airways and excess production of mucus, making it difficult to breath. Bronchitis is one respiratory illness that can cause symptoms such as fatigue, chest discomfort, fever, cough, shortness of breath, and wheezing. It can be triggered by allergies, air pollution, and viral or bacterial infections. Your symptoms will differ depending on what type of food triggers your allergic reaction. Sometimes a food sensitivity or allergy will result in a rash or hives. However, if it affects your lungs, you may experience shortness of breath, difficulty breathing and lightheadedness. You may even suffer from asthma. Other signs of a food allergy are abdominal pain, itching, nausea, vomiting, and diarrhea. Serious symptoms include fainting, swelling of the face and throat, and low blood pressure. These are potentially life-threatening, so seek immediate medical attention if one or more occur after eating. Gastroesophageal reflux disease, also known as GERD, is a medical digestive disorder that causes a multitude of symptoms. GERD causes problems with digestion because it lets food and stomach acids to back up through the esophagus, throat and even the mouth. If you suffer from this disorder, you may experience difficulty breathing, hiccups, heartburn, coughing, sore throat, wheezing, nausea or vomiting with eating, hoarseness or have a hard time swallowing. Conditions that can trigger GERD include pregnancy, hiatal hernia, anxiety, scleroderma and certain medications. Over half of the population is overweight, which has caused an increase in several health conditions. If you have problems with your weight, you raise your risk of diabetes, sleep apnea, depression, high blood pressure, types of cancer, breathing problems and osteoarthritis. 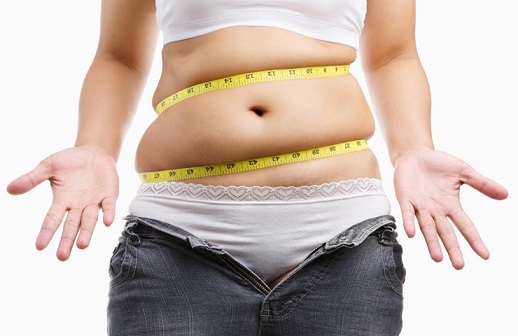 Excess body weight results in extra pressure on your lungs because the diaphragm is pushed by your body. This can make it hard to breathe. Factors that affect breathing rate include the use of alcohol and drugs. Specific medications and illegal drugs can affect your respiratory rate, including excessive consumption of alcohol. Sedatives, narcotic pain medication, as well as heroin, are examples of drugs that can depress your breathing. The wrong combination can result in drug overdose, alcohol poisoning and death due to respiratory arrest. When you exercise, your breathing rate and pulse increase because your body needs oxygen. The harder you exercise, the shallower your breath will become because your cells need energizing. As blood gets pumped through your heart, your cells receive more oxygen and you feel better. Breathing is an automatic bodily function that happens whether you are aware of it or not. It is controlled by the brainstem rhythmicity center, which houses I nerve cells and E nerve cells. These cells are responsible for coordinating inhalation and exhalation so you can breathe correctly. If the brainstem rhythmicity center is damaged, it can cause you to stop breathing and may lead to death. A condition that leads to varying levels of damage is a brainstem stroke. Even as your body can breathe subconsciously on its own, you can also consciously control your breathing. An example of this would be holding your breath under water or blowing out a birthday candle. The ability to do this is affected by cerebral cortical input. If you experience damage to this area of the brain, such as from a stroke, you may lose the ability to consciously control your breathing rate. When you do strenuous activities, the carbon dioxide level in your blood increases, which becomes one of the factors that affect breathing rate and respiratory rate. When the brainstem rhythmicity center senses the excess gas, it causes your body to breathe faster so more oxygen can reach your cells and the carbon dioxide can be expelled. Elevated levels of the gas in your system can also affect your body’s ability to control breathing when you rest and sleep. Your blood oxygen level should range between 80 to 100 mmHg. If the level drops to 50 mmHg or less, your body will cause your breathing rate to increase so oxygen can be pumped through your system. If you lose control of your respiration, you may have a difficult time breathing and may go into respiratory arrest. If there is a significant drop in blood pH levels, your body will cause you to breathe rapidly so you can get rid of any excess carbon dioxide. If too much of the gas is expelled, often caused by hyperventilation, you might feel lightheaded or even faint. A way to eliminate your dizziness is to breathe into a paper bag. The bag will allow you to exhale carbon dioxide and then breathe it back in so that your blood pH levels can be restored to normal levels. Because this can all happen very quickly, you need a healthy body to sense if your blood pH levels are off balance.